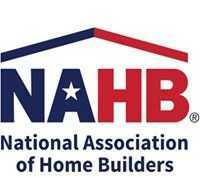 Washington, DC – (RealEstateRama) — The Housing and Insurance Subcommittee met today to assess the role of the Government National Mortgage Association – commonly referred to as “Ginnie Mae” – as members continued to examine the need to reform the U.S. housing finance system. 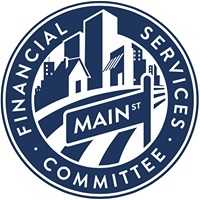 Ginnie Mae guarantees investors the timely payment of principal and interest on mortgage-backed securities (MBS) collateralized by loans insured or guaranteed by the federal government, such as loans insured by Federal Housing Administration or guaranteed by the Department of Veterans Affairs. Ginnie Mae uses the explicit full faith and credit guarantee of the U.S. Government to back its MBS. Other guarantors or issuers of loans eligible as collateral for Ginnie Mae MBS include the Department of Agriculture’s Rural Housing Service and the Department of Housing and Urban Development’s Office of Public and Indian Housing. Ginnie Mae’s portfolio has grown significantly since it was founded in 1968. America deserves a better housing finance system – one that’s designed for homeowners and taxpayers where every American works hard and plays by the rules so that they can have opportunities and make choices to buy a home they can actually afford to keep. America needs a housing policy that is sustainable over time, not one that causes endless boom-bust cycles in real estate that harm our economy. Reforming the housing finance system would ensure equal market access for lenders of all sizes and business models, allowing for more competitive prices to occur.